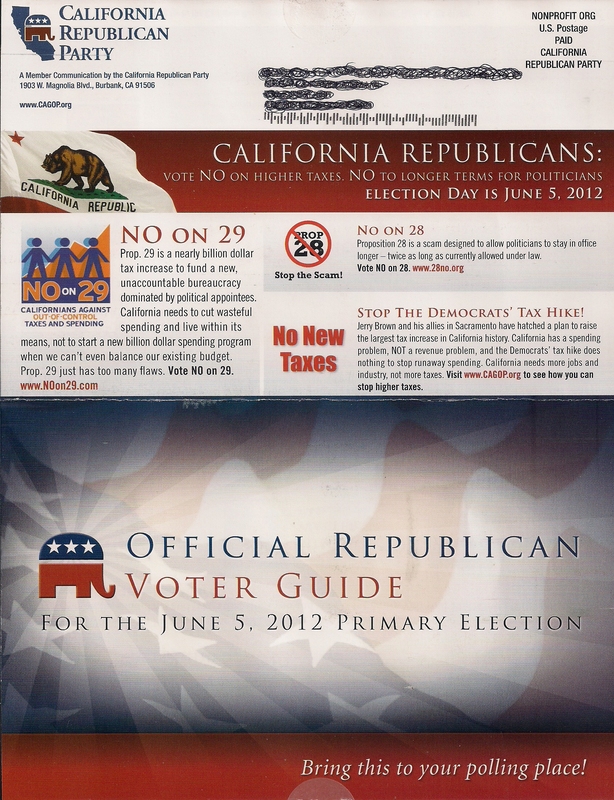 The California Republican Party sent out an awful mailer this past week trying to get voters to come out for their candidates. Generally if you are going to send out a mailer it is a good idea to include only candidates running in the district it is being sent in. 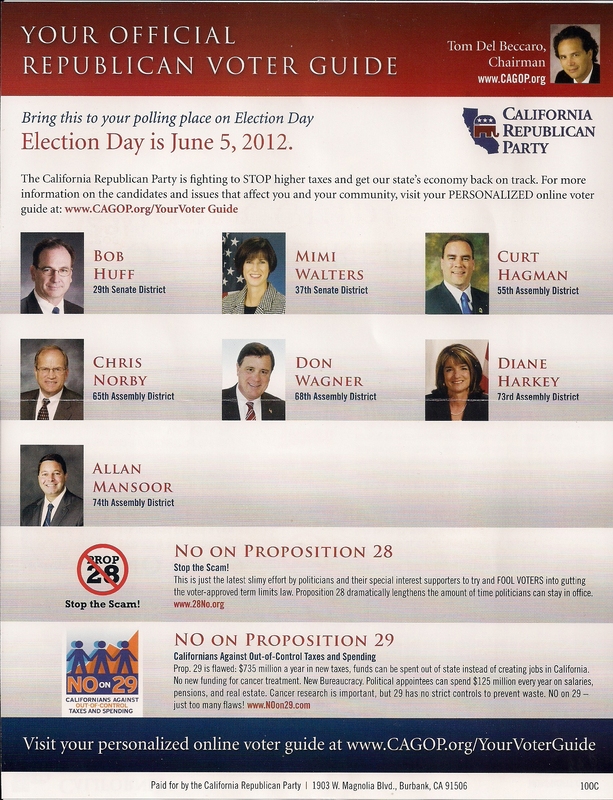 As you can see this piece includes all candidates running in Orange County endorsed by the CRP. This entry was posted on May 28, 2012 at 8:59 AM	and is filed under Mail. You can follow any responses to this entry through the RSS 2.0 feed. You can leave a response, or trackback from your own site. To make things worse the CRP forgot to include Elizabeth Emken. I was thinking the same thing, however someone pointed out to me that this is because it came from the State PAC. Notice that no Congressional candidates appear either.